Prestige Stone & Tile is locally owned and operated by the Ragonesi family. The Ragonesi’s have been in the natural materials business for nearly 70 years with four generations in the tile and stone industry. The original business was started by Benjamin Ragonesi in the late 1930’s in Bensonhurst, New York. B and T Ragonesi turned into one of the largest tile and installation companies in the New York tri-state area. After the company relocated to Long Island, NY in the 1950’s, 1st generation Benny, 2nd generation Thomas, and 3rd generation Thomas, Jr. all worked diligently to become one of the leading natural stone installation companies on Long Island. 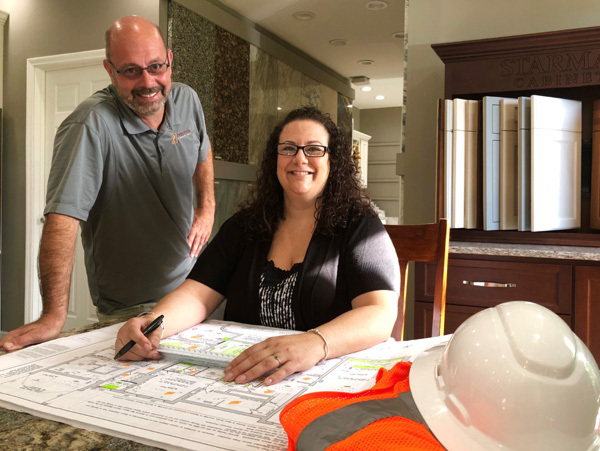 Thomas Ragonesi III started in the tile business at 14 years of age, by working weekends with his father, and is now a designated Master Installer. After many years of working in the tile industry, Tom decided to open his own business. In 1998, Prestige Stone & Tile was incorporated, and has been serving the Lowcountry, South Carolina and southeast Georgia ever since. Tom has worked hard to earn himself and his company a reputation for superior quality, satisfaction, and product excellence. Prestige Stone & Tile is currently located in Riverwalk Business Park in Ridgeland, South Carolina and is one of the largest showroom and fabrication shops in the area. We offer full kitchen and bathroom cabinets, tile and granite showroom, where we carry granite, marble, travertine, soapstone, and quartz products. We also offer remnants for smaller projects. Our granite suppliers are conveniently located nearby so you may pick your own slab from a wide variety of stone. Our trained staff of design consultants are here to help you with kitchen and bath cabinetry, flooring, cabinet hardware, sinks (vanity or kitchen), plumbing fixtures, and backsplashes. We also sell retail. Prestige transforms kitchens and baths to make dreams come true. Our team of designers are known in the industry to be top notch. They transform layout, functionality and style to give you a whole new look and feel. We offer FREE kitchen and bath design services, start to finish project management. Get started on your kitchen or bath remodel today by exploring our wide selection of kitchen cabinets, countertops and more in our showroom. All of our installation and fabrication crews are employed by us. As a company, we are highly regarded for our quality, dependability, and selection. Our mission is to provide a level of customer service, design, material selection and craftsmanship that is second to none in the Lowcountry and beyond. From exquisite imports to high quality domestic products, we can make your dream a reality! We will help you achieve all your project needs from a simple install to the most complex design.